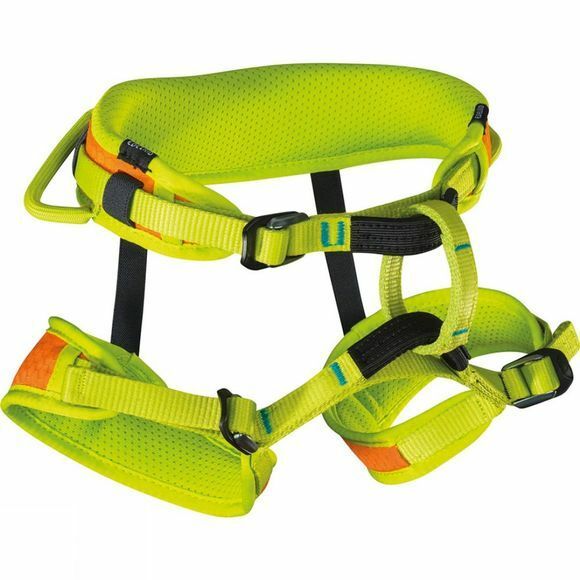 The Kids Fin II Climbing Harness from Edelrid is an excellent value children's harness with padded waist belt and leg loops. For maximum adjustment the waist belt and leg loops have no-thread buckles that are fast, easy and safe to use. Recommended for top roping only.